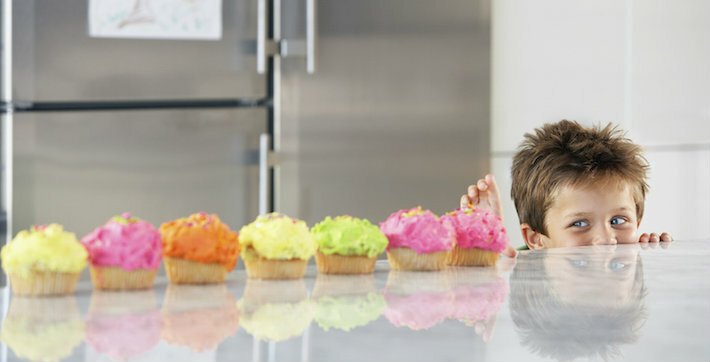 Parents who work to instil self-control in their children will see them reap the benefits not only in the short-term but throughout their working life, according to new research from the University of Stirling. The researchers found that children with high self-control are much more likely to find and retain employment as adults, spending 40% less time unemployed than those who had a lower capacity for self-control as children. Dr Michael Daly of the Behavioural Science Centre at the University of Stirling said: "The study highlights the importance of early life self-control as a powerful predictor of job prospects in adulthood." The concept of self-control can include a child’s ability to pay attention, persist with difficult tasks and supress inappropriate or impulsive behaviours. While a link between adults’ self-control and immediate job success might seem obvious, no previous research has directly examined whether measures of childhood self-control could forecast who successfully enters the workforce and avoids spells of unemployment across adult life. The researchers used two studies of more than 15,000 British children to examine the link between self-control and adult unemployment. Self-control was measured at ages as young as seven and the analyses adjusted for intelligence, social class, and family background and health factors. The results provided clear evidence linking self-control to unemployment rates across working life. An examination of the 1980s recession also showed that those with low childhood self-control experienced a pronounced spike in joblessness during this difficult economic period. While this group were among the first to lose their jobs during the recession, they also found it more difficult to regain employment. This could be attributed to a range of factors including a heightened vulnerability to stress due to unemployment, the adverse effect of prolonged career interruptions on skill development and a greater likelihood of falling into habits which hinder their chances of regaining employment such as poor time management and irregular sleep patterns. Dr Daly said: "Less self-controlled children may be particularly vulnerable to unemployment during times of economic downturn in later life." "Developing greater self-control in childhood, when the capacity for self-control is particularly malleable, could help buffer against unemployment during recessions and bring long-term benefits to society, through increased employment rates and productivity. "Preschool interventions, school programmes, and activities such as yoga and martial arts, and walking meditation exercises have all been shown to help develop better self-control and related abilities." For further information, please contact: David Tripp, Communications Officer, on 01786 466687 or email david.tripp@stir.ac.uk. The study, entitled 'Childhood Self-Control and Unemployment Throughout the Life Span: Evidence From Two British Cohort Studies' is available at http://m.pss.sagepub.com/content/early/2015/04/09/0956797615569001.abstract.